Chitwan National Park is a rich natural area in the Terai, the subtropical lowland in the southern part of Nepal. It lies in a river basin, and is mostly covered by forest of the sal tree and grassland. Until the 1950s the park served as a hunting ground for royals. Only small Tharu villages existed. The park is inhabited by 56 species of mammals. Among them are the rare Asiatic rhinoceros and Bengal Tiger. Besides these, there are elephants, sloth bears, leopards, gaur and otters. 565 species of birds have been recorded inside the park, and 155 species of butterflies. It certainly is not Africa: the big 5 is not to be seen here, but it is possible to go on a safari in Chitwan. In the early morning, I did a junglewalk. My two guides and I encountered a rhino, and climbed up a tree to observe the magnificent animal. This is no African Safari and flora and fauna are varied but few in comparison. The main treat is seeing the Bengal tiger even if for a split second (while much more easy to spot in India). Next is the one-horned rhino and you're almost guaranteed to spot at least one grazing or by the river. There are different types of deer, boars, mongoose, monkeys and also the gharial crocodile to spot. I stayed in the only hotel that is actually inside the national park (as of 2013) to enjoy the experience to the full. Several activities to do such as the elephant safari (to mask human scent and have a better chance of spotting fauna), river safari (best for birdwatching), jungle walks (the most thrilling especially when wandering through the phanta grass). There are several types of birds but not in large quantities such as in Keoladeo in India. It is a very good national park but it did not impress me much as a WHS. Nepal is my country, My birth place and live in Kathmandu. My village home is in Chitwan near Sauraha. When I was young we (with friends) used to go to Sauraha, nearby jungle and watch Rhino, Gharial, Jackle, Peacock and other birds. Couple of times I went deep inside the jungle with Tharu villagers to collect KHAR, KHADAI and BABIYO. Exciting moment and photograph gained by that time. Since long time I work in UAE, but when I go holiday I must go Chitwan for atleast 3-4 days. Last month I was in Nepal, I visit my village home and went to Sauraha too. Next year I will continue my routine. I enjoyed three very wet days in chitwan national park this past summer. The wildlife was most fascinating. While riding on an elephant through the 5 meter tall grass in search of the local rhino with an expert mahout, I offered my palm to a beautiful little butterfly that had followed us for some little way. To my delight it landed in my palm and remained there, quite calmly, for at least a minute. We saw kingfishers and gharials as well, but as it was monsoon season not much else was apparent. I shall never forget the blessing bestowed upon me by a small blue butterfly...Enjoy! 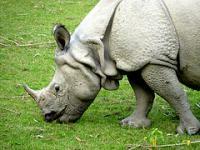 The Royal Chitwan National Park is one of the national parks of Nepal. It lies at the southern part of Nepal,Terai. 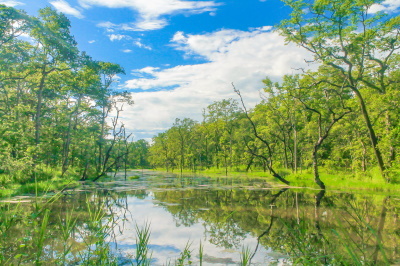 Really, Royal Chitwan National Park is so beautiful! I saw many tigers, elephants, cheetahs and different kinds of birds as well as big bird,Ostrich. I had gone there since 2 years ago,at that time i saw many natural places of Nepal, and evergreen forests. Right Now, I am in Newyork, but our family is planning to go there, and celeberate our holidays.. I thoroughly enjoyed Chitwan, and I guess like the vast marority of visitors I too did not see a Tiger. The highlight for me was a canoe safari, during which we found ouselves with a couple of metres of a Gahrial, a very rare fish eating crocodile with a peculiar long and slender snout/mouth full of evil looking teeth! But what really made this trip for me was the half dozen Nepalese ten year olds in the canoe with us - their enthusiasm, sharp eyes and knowledge adding incredibly to the experience. When I talked to our guide about this later, he told me it was part of their education, aimed at making sure the next generation both apreciated and understood the park, because one day they would be responsible for its care. How many other WHSs have this much forsight? I was in Chitwan National Safari Park in March 2006 and had a great time, stayed at the Island Jungle Resort, the accomodation was great (the food was basic but edible), they could easily improve the food but the friendliness of staff was excellent. Tourism has been hit dramatically we were between 6 and 14 people only on the island. The guide we had first did not give a briefing about jungle safety!!! (I think his enlish was poor) and it was by chance that an ex guide visiting with good english was able to give us an excellent briefing on day 2. All in all we had a fantastic time, the early morning elephant rides were fantastic and the elephant bathing was awesome, being in the water with these great creatures is just something else. We saw plenty of rhino, both on Jeep safari and on elephant (and my friend from Sweden had to dash up a tree on a walk to ensure safety from a mother and baby rhino..... can't get a closer shave than that!!! ), but no sloth bears or tigers seen, although we did see some reasonably fresh tiger prints which were unnervingly close to our accommodation. We went to see the elephants sleeping at night which was great. We did a boat ride, saw 1 croc. We saw some monkeys and lots of birds, too many to remember them all but kingfisher, parakeet, woodpecker, heron (oh and many more). Quite a few butterflies too and some interesting bugs. The grass had been burned and I was told that March/April is a good time to visit as the grass has been cut and burnt (which scares the animals) but once it settles down it is easier to see animals as the grass gets very long. Monsoon (July/August apparently there are lots of ticks and leeches.....yuck) but again in October is a nice time to visit. All in all I had a wonderful experience and would definately return, however I have never been on Safari anywhere else so maybe I'm easily impressed!!! The Royal Chitwan Park is situated in the “Terai” - the lowlands south of the Himalaya shared between India, Nepal and Bhutan. Its main up-market hotel/lodge sports the name “Tiger Tops” and one may be tempted to go to Chitwan in order to see Tiger. When I visited in 1977 I did not stay at Tiger Tops but instead at the rather more down-market Gaida tented camp site a few miles away!! I cannot say whether the additional wild life expertise which might be available from Tiger Tops makes it a good place to see tiger or not but I did not see one and indeed had to try several Indian wildlife parks before eventually being successful at Kanha. From what I know however I would suggest that you should not go to Chitwan with the prime objective of seeing tiger. What makes this park a special place to visit is the far greater likelihood of seeing the Greater One-Horned Indian Rhinoceros – and in excellent viewing circumstance too. I was able to take several elephant rides. The park was only created in 1974 and, possibly for that reason, the elephants did not come equipped with the “tourist friendly” sitting platforms with safety rails which I have come across elsewhere – rather a simple platform with a rope which one had to hang onto like grim death! The grass in Chitwan really is “as high as an elephant’s eye” and it was a wonderful experience to be transported through the grasses in the morning mist looking for rhino. We had some great views - though you might not guess so from one of the photos I was able to take with 1 hand whilst hoping not to slither off into the charging rhino! Such charges didn’t seem to worry the elephant 1 iota and the rhino too seemed to recognise which of the 2 animals was really “boss”! PS 6 June 2005. I have just read of the deaths of at least 38 bus passengers at Chitwan in a bomb blast perpetrated by the Maoist rebels. Nepal unfortunately appears to be sinking into chaos - hopefully its incompetent and corrupt rulers and its ordinary citizens can escape but the future looks bleak. Not the least of the worries will be another drop in tourism revenues. Biological Corridor: part of the "Teria Arc"
Holocene: The Himalayan subtropical broadleaf forest was made possible only after the end of the ice age in the Himalayas. Foreigner prices: Variations between Nepalese, SAARC nationals and other Foreign Nationals. Ranging from 100 to 1,500 Nepali rupees.